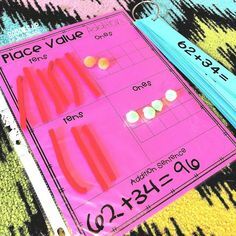 When my kids are doing stations, I normally am working with small groups so its hard for me to take action shots. I did mange to take a few today. They did a little brewing subtraction facts. 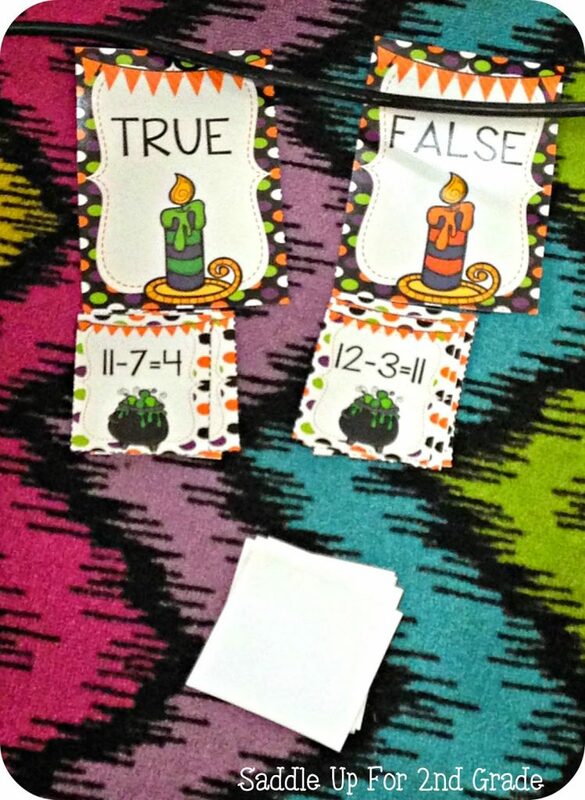 They had to sort subtraction problems and determine if the problems were true or false. 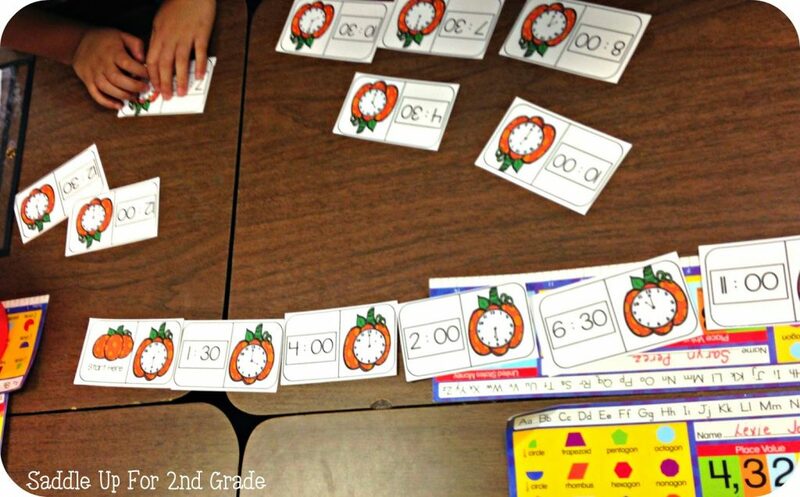 Time is a big standard in our new math TEKS. 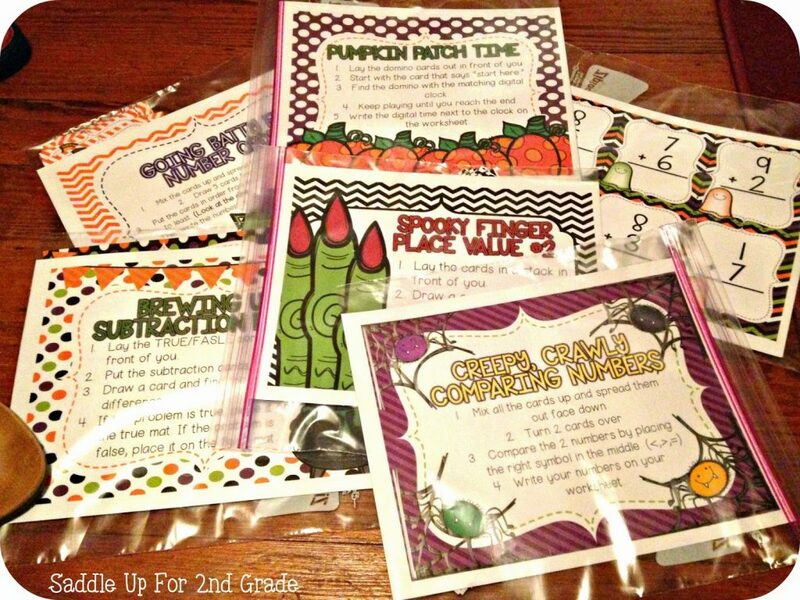 We now have to teach time to minute as well as teaching 5 minute increments. We have been doing lots of practice to the hour and half our during our morning work. 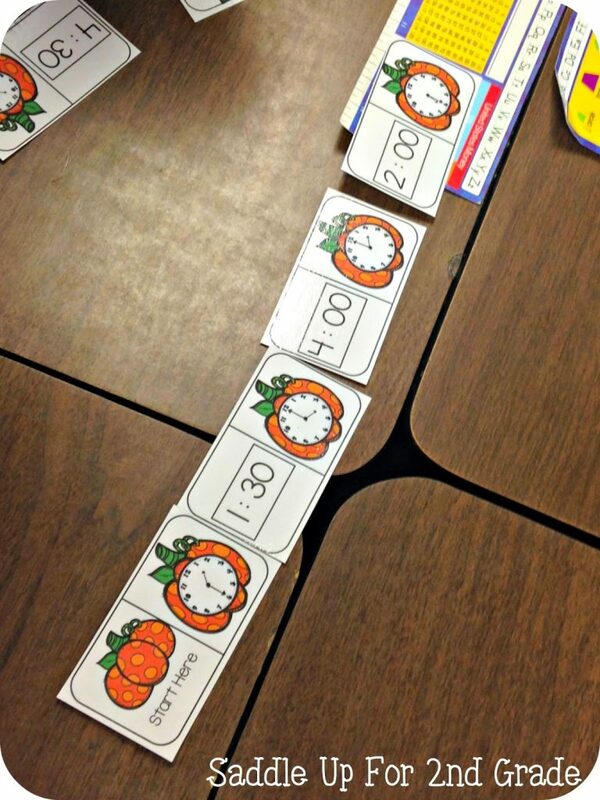 They rocked our pumpkin time domino station today. 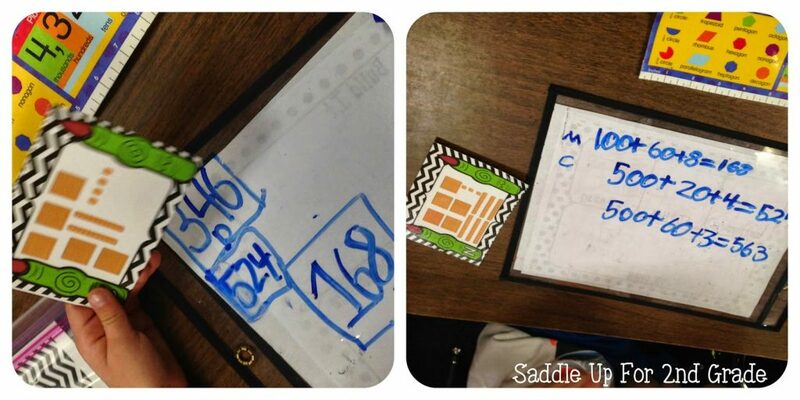 We are studying 3 digit place value this week. 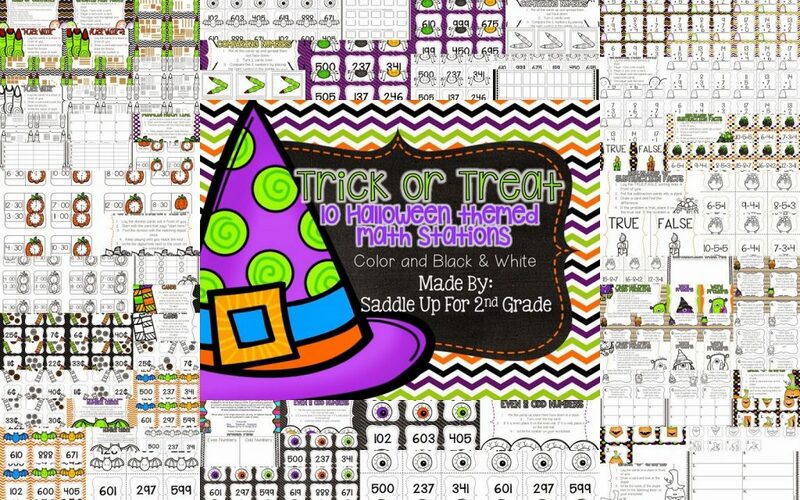 Spooky finger place value has been a great review for them. 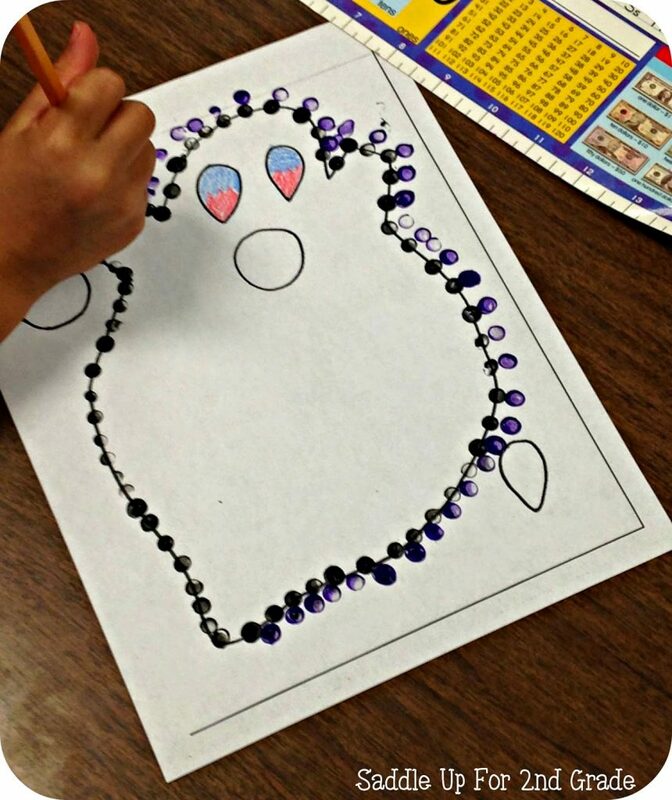 We’ve been using witch fingers for lots of things so they loved this. 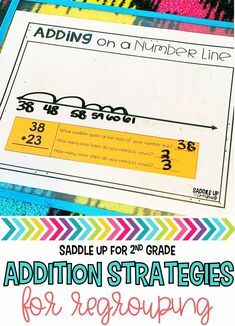 My unit includes 2 different recording sheets (one where they right the number, the other they have to write the number several different ways). To save paper, I just had them write on our plastic sleeves. 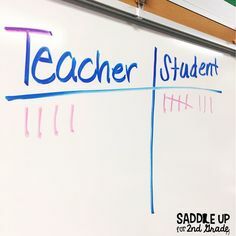 This is a great way to save paper. There is nothing to turn in and nothing for you to “check”. You can click here to check out the full set of centers. I’ll be trading them out for the next few weeks. 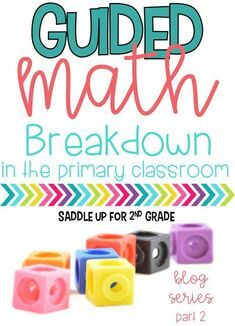 They include skills to cover addition and subtraction problems to 20, basic word problems with addition, subtraction and multi-step problems, 2D shapes, place value, time, money, comparing and ordering numbers, even and odd numbers are more. 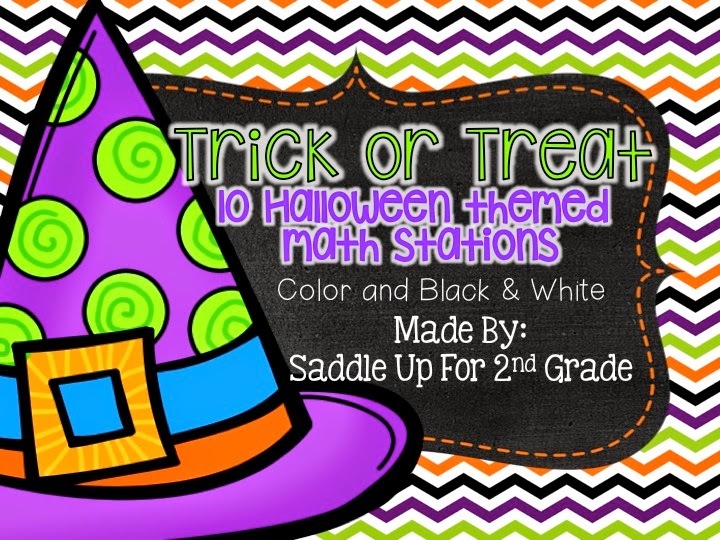 A color and ink friendly version is included. My schedule is so packed this year, there is hardly no time to do art….I mean at ALL. 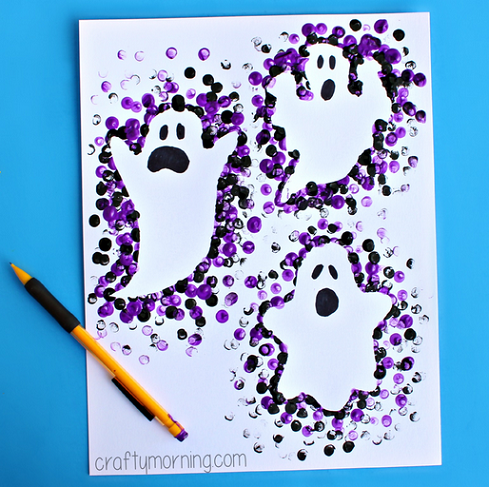 I saw this cute ghost pencil art on Pinterest from Crafty Morning and decided to give it a try because I figured it would be quick and easy. I was right. It was QUICK AND EASY. 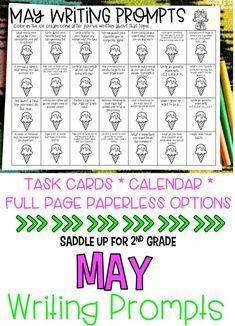 Here is the pinterest version. 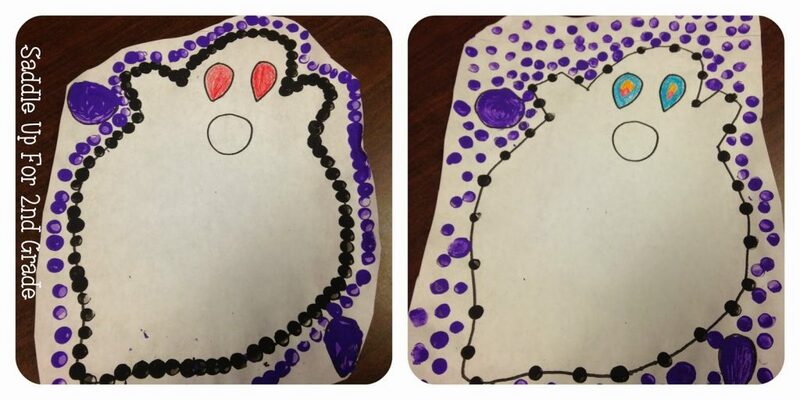 I have each student a copy of a ghost template I had. You can use any kinds. They used a pencil eraser and dotted black around the ghost first. 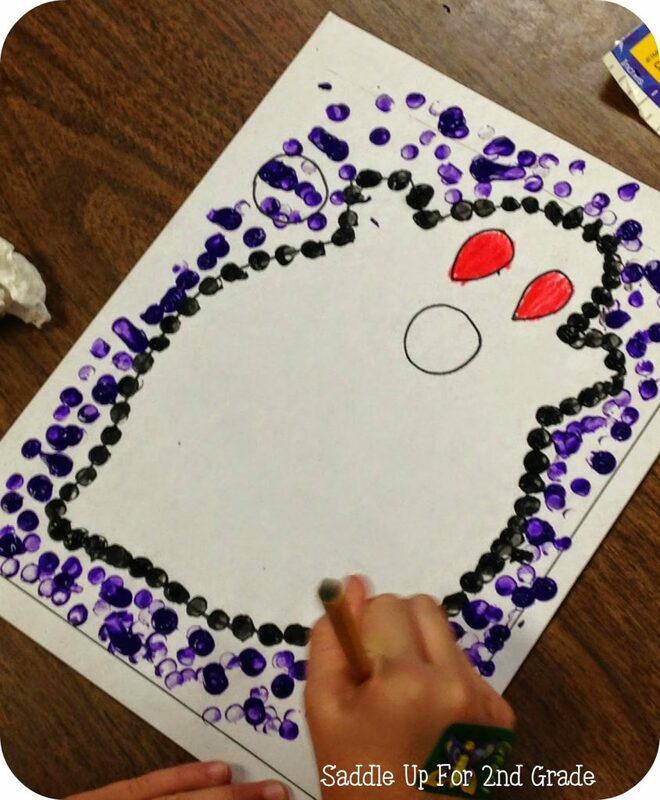 Then they went back and added the purple. This took all of 15 minutes to do. 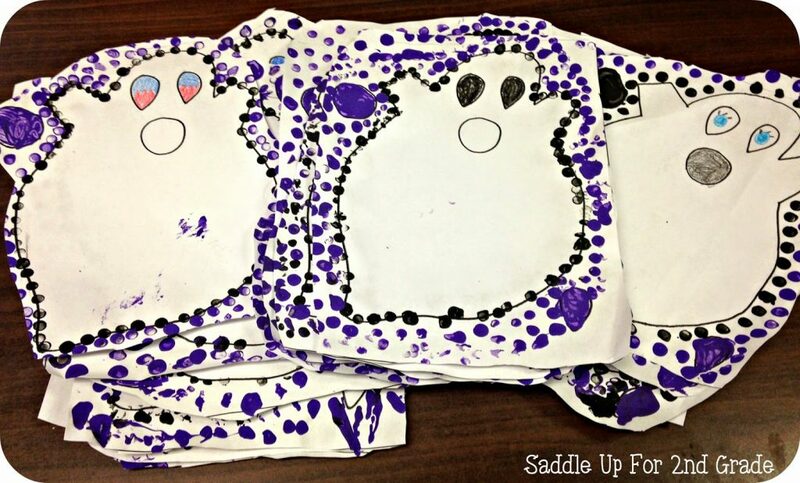 What was I doing while they were making these cute ghosts? I was reading them the next chapter in our current read aloud. I just showed the photo on my board and they did everything. They aren’t perfect but they are kid perfect and I love them. They were so proud of their creations. I’m going to hang them around the room tomorrow.